The Power Start Pallet Truck has a connection between the tow bar and the steering wheels that transfers the force from the pump stroke to the wheel to get the truck started. This start assistance reduces the amount of effort required to make the truck move. The starting force is reduced with 2/3 in comparison to a standard lifter. Do you find that handling heavy loads impacts your productivity? 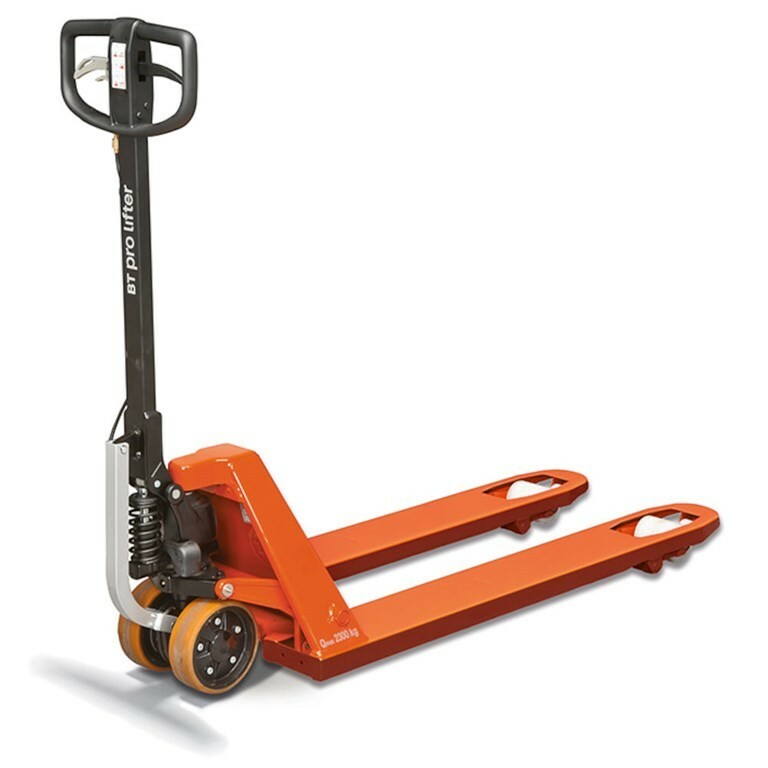 The unique Power Start Pallet Truck features quick lift, which allows you to lift heavy loads in just two strokes. It also requires up to 67% less force to get started than a standard hand pallet truck. This is the ideal option for intensive applications! For increased productivity, the quick lift pump unit enables you to elevate the load in just two strokes. Thanks to this, your goods are moved with minimal effort, ensuring maximum efficiency and operator comfort.